Your HVAC equipment may still be delivering heat, seeming to operate just fine, and then suddenly quit. Defects within the system don’t always give warning signs. A heating unit tends to fail when it’s working the hardest. That usually means on the coldest night of the year, which leaves you shivering and desperate. Seventy-five percent of the “no-heat” calls we receive in the winter are caused by a lack of maintenance. Smart Choice Heating & Cooling, Inc. strongly recommends you have your equipment properly tuned by our dedicated specialists. Avoid costly repairs and stay up-to-date on your heating system service! The cost of emergency repairs is a great deal more than proactive service. When you leave the upkeep of your equipment in our capable hands, the Smart Choice Heating & Cooling, Inc. technicians will identify areas of concern and address them before it’s too late. With precision adjustment, inspection, and replacement of worn or broken parts, most repairs are prevented. We can also give you an estimation on the service life of your system. Rather than dealing with unit failure and replacement in the middle of winter with no time to weigh options, regular maintenance allows you the luxury of preparation. When an HVAC system is kept in peak condition, it experiences fewer difficulties and lasts longer. At Smart Choice Heating & Cooling, Inc., we optimize your system, so you can enjoy uninterrupted operation year after year. We’ll also make sure you meet the requirements of your warranty. Manufacturers require a record of yearly professional service in order to continue coverage. If maintenance is neglected, any problems that arise as a result are not protected by warranty. It is essential that even newly installed systems receive the proper care and attention. Annual service, performed by the NATE-certified specialists from Smart Choice Heating & Cooling, Inc., will save you money. According to industry studies, regular check-ups can trim up to 30% off energy bills. This is largely due to the buildup of dust and contaminants within the system. As grime clogs the system, cutting off airflow, energy consumption rises, even as heating capacity declines. Your equipment is forced to work much harder to reach ideal temperatures, resulting in excess wear and tear, and higher cost of operation. 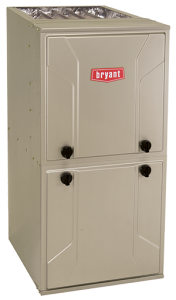 While you may experience temperature fluctuations or insufficient warmth, you’ll pay a premium price. The solution is as simple as professional cleaning from Smart Choice Heating & Cooling, Inc.. A clean, well-adjusted system lives up to manufacturer’s expectations for AFUE. There is also the the safety and well-being of your family to consider. The service specialists from Smart Choice Heating & Cooling, Inc. will verify controls to ensure safe start up, operation, and shutdown. Checking all gas (or oil) connections, gas pressure, burner combustion, and heat exchanger will avoid the risk of fire hazard, improper combustion, and carbon monoxide leaks. Changing air filters protects equipment from damage and premature failure. Comprehensive cleaning eliminates pollutants concealed within the system, such as dander, mold, insects, and vermin, preventing the introduction of bacteria into the airstream. Seasonal service creates a safer, healthier, and more comfortable home environment. GET DEPENDABLE HEATING SERVICE WITH THE FRIENDLY, KNOWLEDGEABLE TEAM AT SMART CHOICE HEATING & COOLING, INC.! As a small, family owned business, Smart Choice Heating & Cooling, Inc. recognizes the importance of your investment in home comfort. We’d like to help you protect it. Our factory trained service team has the experience and sophisticated tools to maintain the value of your equipment, boost performance, and ensure maximum efficiency. Throughout Vancouver, WA, Camas, Ridgefield & Brush Prarie, Smart Choice Heating & Cooling, Inc. is the only Factory Authorized Dealer, set apart for exemplary service, technical know-how, and sound business practices. Let us put our expertise to work for you! © 2019 Smart Choice Heating & Cooling.